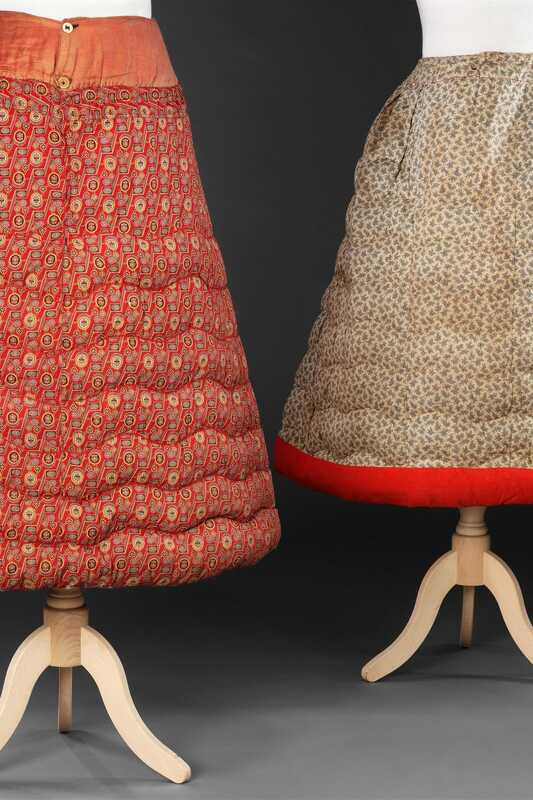 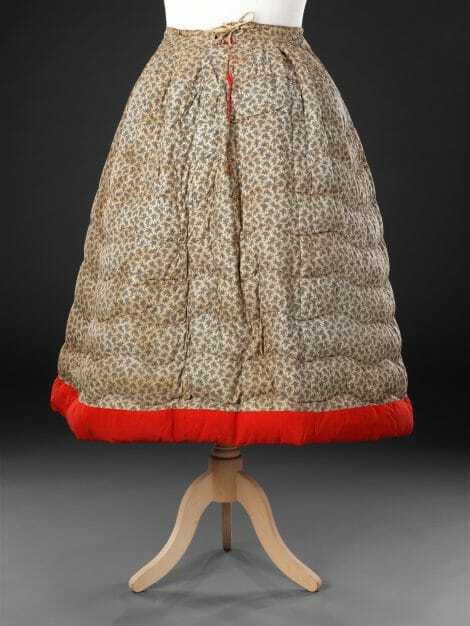 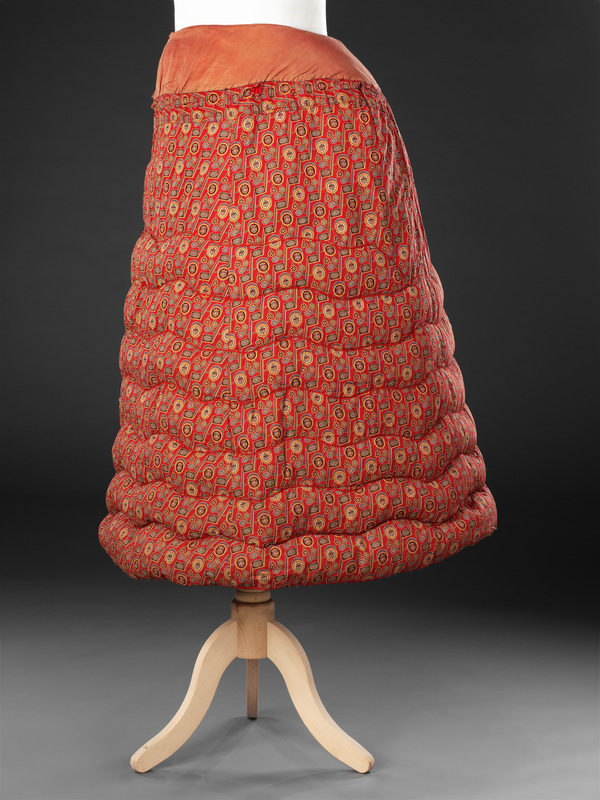 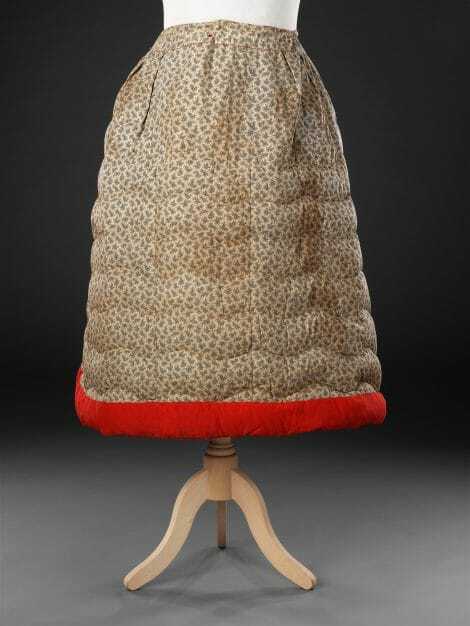 These two cotton waist petticoats, quilted with down, combine the benefit of bulk, needed to provide the correct silhouette of contemporary fashion, and warmth without weight. 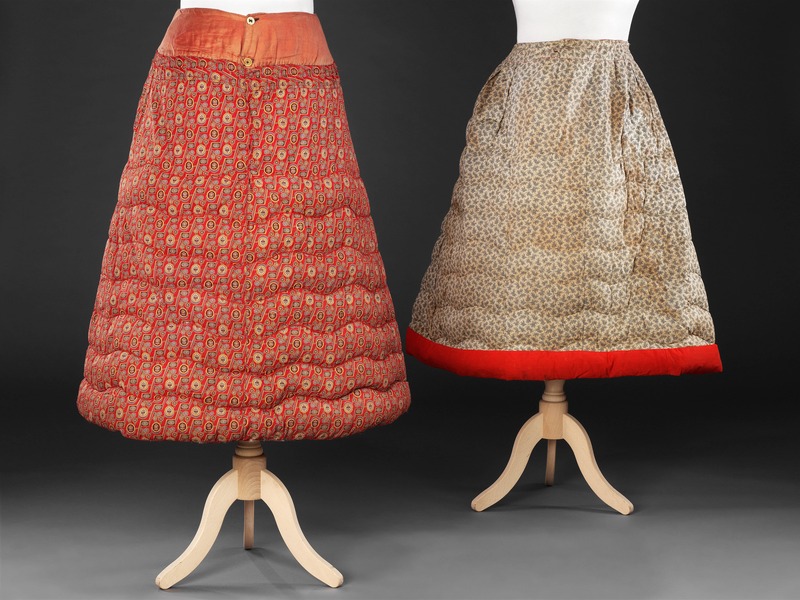 Booth and Fox, feather merchants and manufacturers of the award-winning underskirts of which the red one is a typical example, advertised them as weighing ‘from 18 to 21 ounces, and yet, in addition to be as soft as cushions, can be washed with the down inside as readily as a quilt’, a major selling point, especially as the dyes were claimed to be fast. 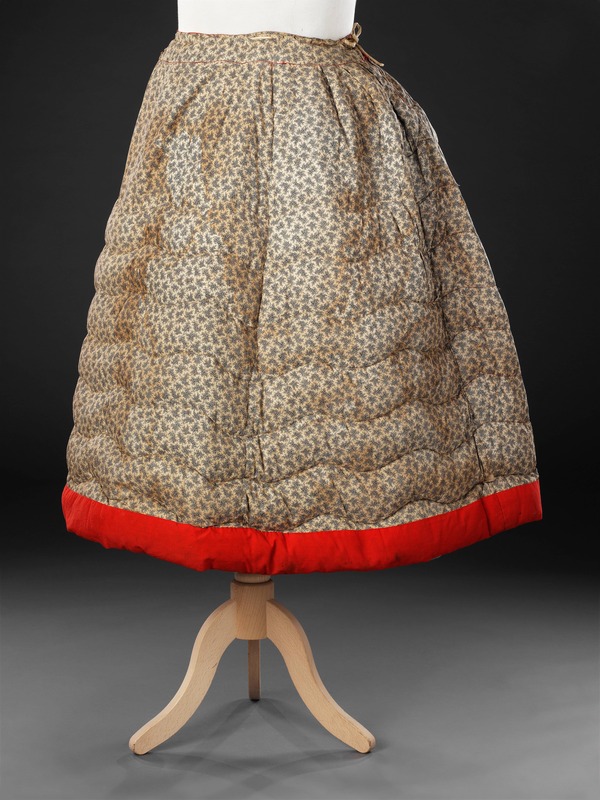 Other down-filled garments available included dressing gowns and bustle pads. 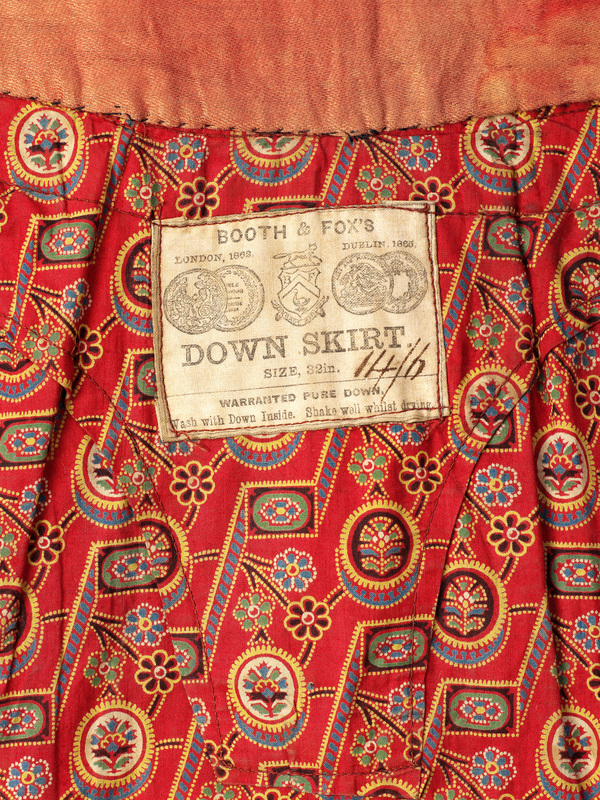 Bright colours and printed fabrics were features of underwear at the time. 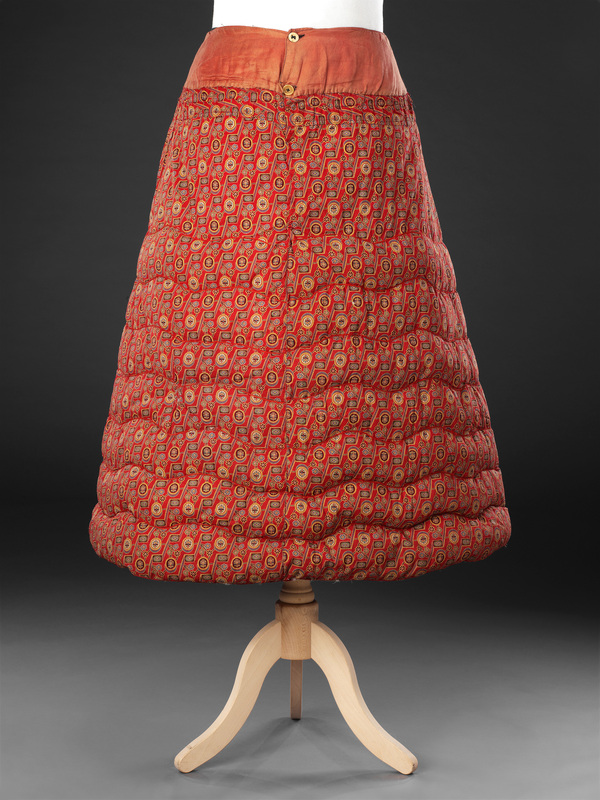 The red petticoat is dyed in Turkey red, a strong bright red derived from the madder root, which originated from India, spreading westwards to Scotland where it was used from the late 18th Century. 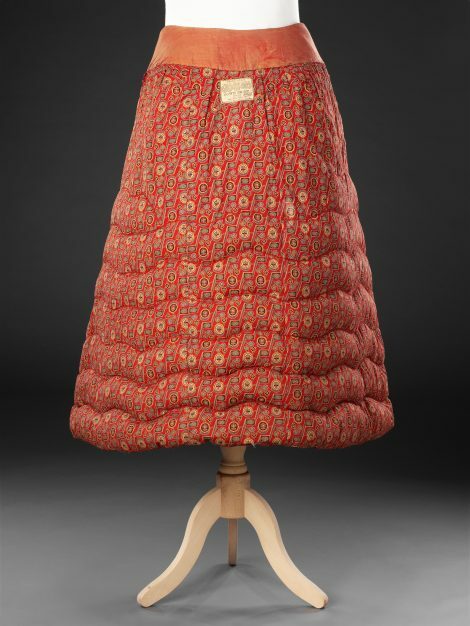 It could be washed frequently and therefore was a practical, and cheerful, choice for underwear, accessories and quilts. The small, bright, discharge-printed pattern of this petticoat is typical of Turkey red fabrics.